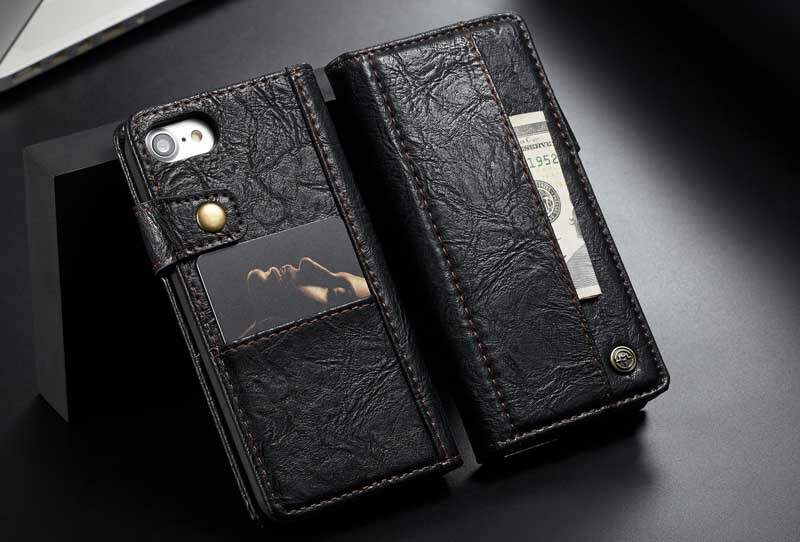 Free Shipping, Buy official original CaseMe iPhone 8 Retro Leather Wallet Case at Casemecase.com. 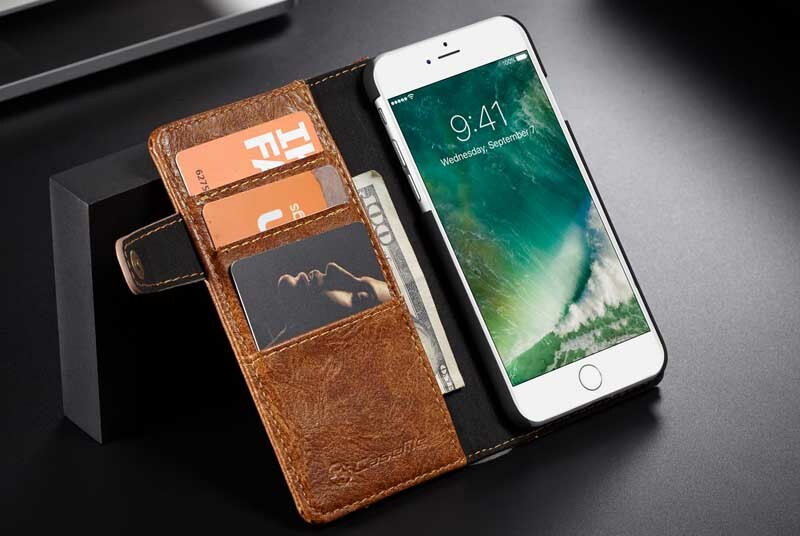 3 card slots and 1 money pocket. 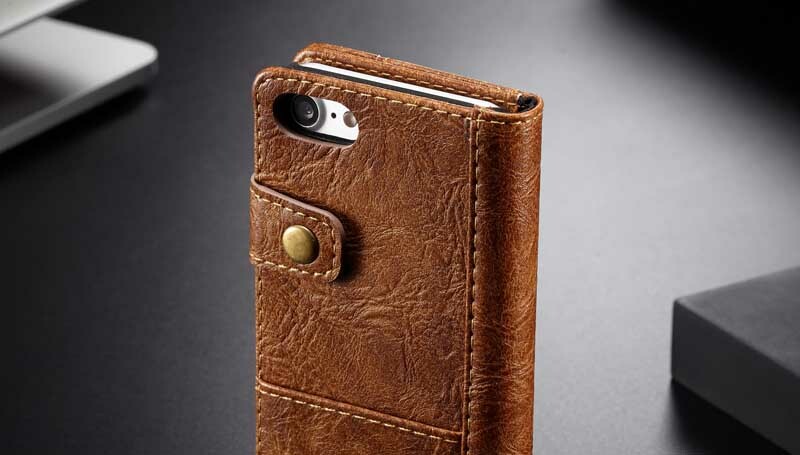 CaseMe iPhone 8 Leather Wallet Case is made of Retro leather, high quality and durability. 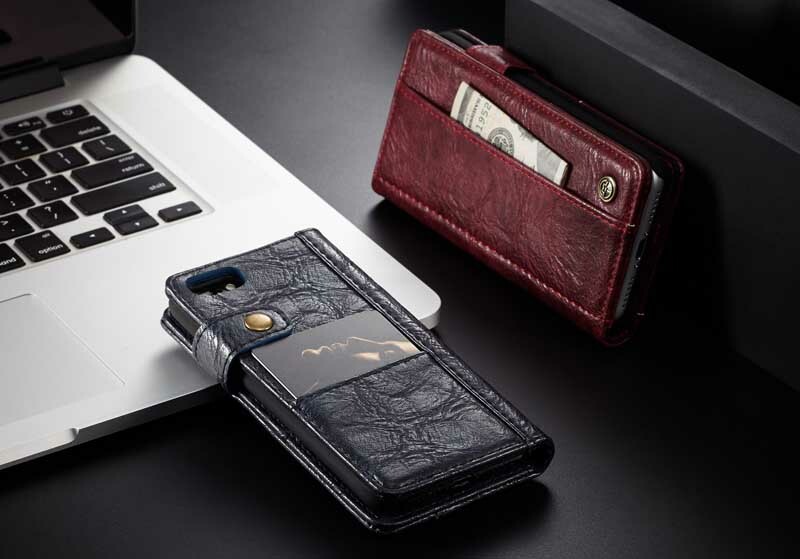 The highlight of this case is its multiple slots design, which can bring and manage your credit cards, bus cards and ID cards conveniently. Magnetic closure and snap-fastener add the secure level. 1. 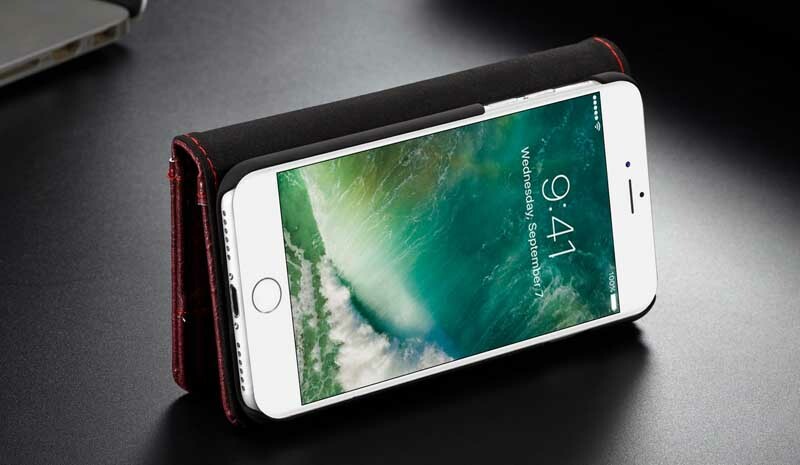 Premium folio case made from premium PU leather. 2. Special treatment for surface with cracked effect. 3. 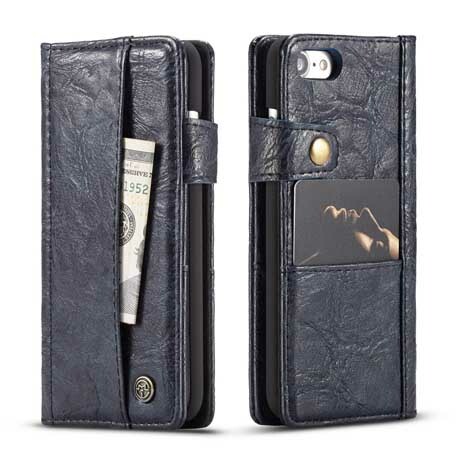 Wallet function: 4 card slots, 2 cash slot. 4. Horizontal stand function used as a kickstand when necessary. 5. Perfect outlets: easy access to all smart connectors, camera and all ports. 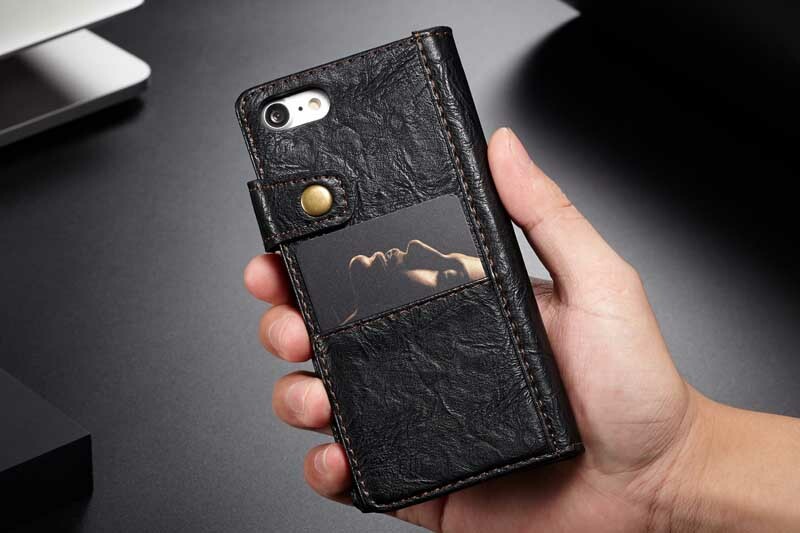 This is a great case so far, I love it and some how it makes my massive phone seem easier to deal with.